Among the earliest photographs taken of the Younger Brothers and company. They are all clean shaven and sporting close haircuts and fresh suits. There location and time of the photo are unknown. However it does raise many questions that may never come to light. 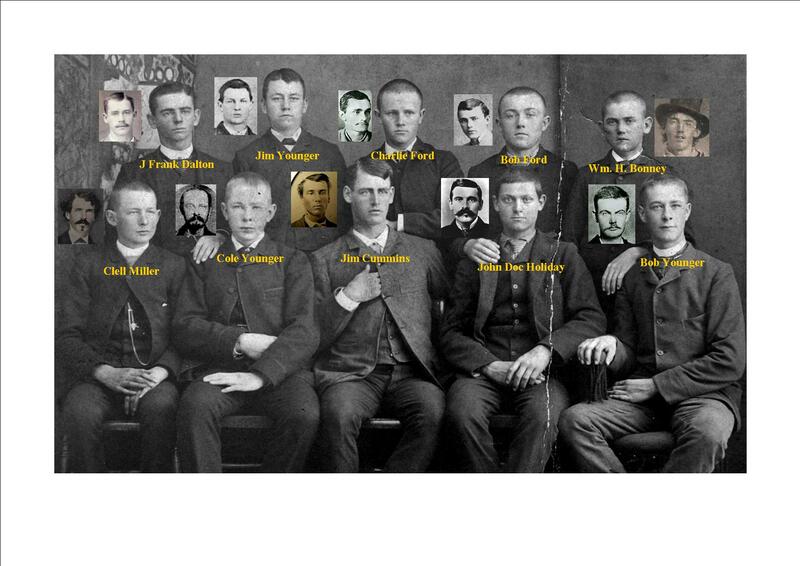 See more about the Younger Brothers and friends, click on their button under the James Gang tab above.